Volvo Penta engineers are securing, testing and evaluating electric drive solutions that are set to help power the next generation of the company's products. Collaboration is the key, and Volvo Penta is working closely with customers and suppliers to explore viable electric driveline solutions. 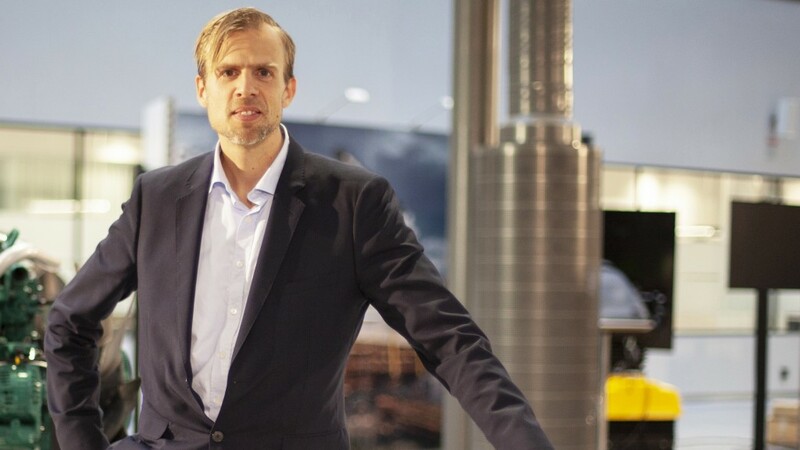 "The needs of environmental sustainability and customers' business requirements are getting ever closer, as electrified options become increasingly feasible," says Peter Granqvist, chief technology officer at Volvo Penta. "The individual needs across industries such as construction, mining and materials handling do vary - just as they do for commercial and leisure marine applications. However, there is now a clear trend from all customer groups: the need for cleaner, quieter and more efficient drivelines." In leveraging the Volvo Group's proven platforms, harnessing the latest technology for energy storage in batteries, and in collaborating directly with customers, Volvo Penta will create win-win electromobility solutions that allow customers to move their businesses forward. An undoubted benefit of being part of the Volvo Group is access to advanced technology. Volvo Penta is further developing the proven electromobility platform that has successfully been used by Volvo's buses and trucks divisions for many years. The company's new workshop focusing on electrification is located opposite the Volvo Group's 140-strong electromobility team. Synergies between different applications are being explored in close collaboration, as is the development of new solutions for Volvo Penta's customers. "This wide deployment of battery technology means there is increasing knowledge and capacity to be shared across industries," says Niklas Thulin, director of electromobility at Volvo Penta. "Increasing energy density and smaller batteries allow for novel machine designs. And lower cost means the cost of ownership is reaching a point where, for several applications, it will be more profitable to operate an electric machine rather than one with a conventional engine. In addition, shorter charging times and more available charging infrastructure at customers' depots and other hub locations will also supercharge the case for electrification." "It's essential to spend time with customers - both OEMs and operators - to understand how they can benefit from electrification, how machines and equipment are intended to be used, and how and where charging can be incorporated in the operation," says Thulin. "By understanding all the details we can propose a system fine-tuned to their needs."